The weigh-below hook for the Nimbus and Eclipse balances allows for below balance weighing. The weigh-below hook for Nimbus balances with the 400 x 300mm ø pan sizes allows for below balance weighing. Factory fit a weigh below hook to the CBK bench scale to perform below balance weighing. 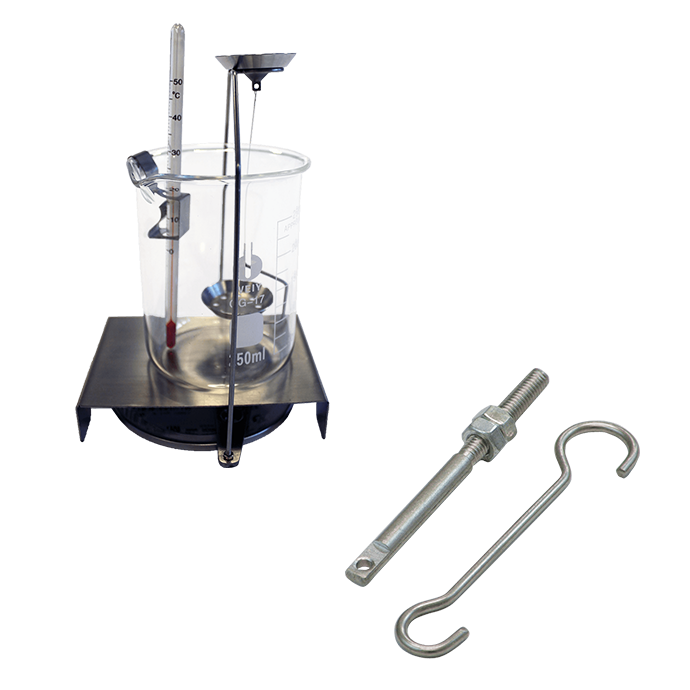 Ideal for materials testing applications.